It’s a jam-packed year for A Perfect Circle. Not only has the band released a new album, “Eat the Elephant,” but the guys are also spending a good deal of time on the road. 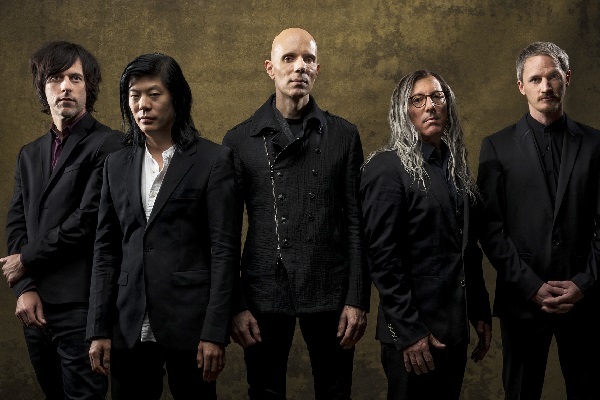 Following the band’s spring tour and festival appearances, A Perfect Circle has announced a U.S. headlining tour set for this fall in continued support of the new album. A Perfect Circle’s fall tour will kick off Oct. 20 in Salt Lake City, Utah, and run through a Nov. 20 show in frontman Maynard James Keenan’s home turf of Arizona in Phoenix. Tickets for the tour are on sale now via APerfectCircle.com. “Eat the Elephant,” which marks A Perfect Circle’s fourth studio album and first set since 2004’s “Emotive,” is available now. For fans of wax, the album will arrive as a special blue and red vinyl package July 6. Meanwhile, there’s lots of buzz about Keenan’s other band, Tool, which is in the process of writing a new album. The band recently announced that they’re in the studio, toiling away on their much-anticipated follow-up to 2006’s “10,000 Days.” Select Tool band members are also appearing at some “music clinics” throughout North America in May, where they’ll discuss the writing and recording process of the band’s music.